Joanne came to us to build her home in Waitarere Beach. Her brand new home was built by us and delivered to her section in a little as eight weeks after signing the contact! Read below to see the full article or click here to see the full interview video and article on the Stuff website here! Life can be complicated and a little messy. Building a house doesn't need to be. 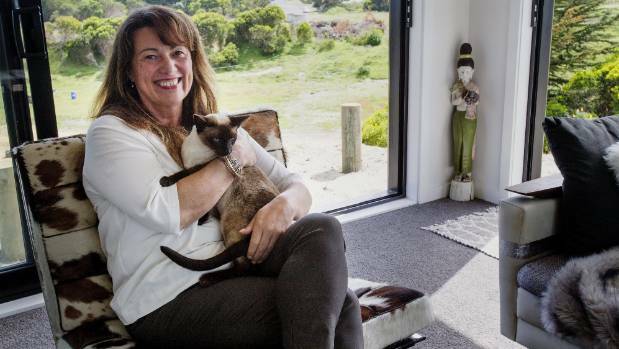 Newly separated, soon to be homeless, Joanne Welch needed a new home in Waitarere Beach – and she needed it quickly. She had the land and approached a conventional builder, was happy with the design, and even got as far as a quote to build it. Joanne Welch has built a house with a beach bach feel for under $200,000 at Waitarere Beach, near Levin. "But I just went completely cold on the idea of having to deal with the builders and the building process on my own as a single parent, and in the process of trying to organise a separation," she says. That was enough on my plate and I just needed it to be simple." After some research she decided on a prefabricated house, to be built by Matrix Homes, which manufactures homes in its Upper Hutt factory and then delivers them to the client. "I wanted something really simple, but I also wanted something a bit funky and not boring. I lived near the beach so it had a kind of beach bach feel to it." 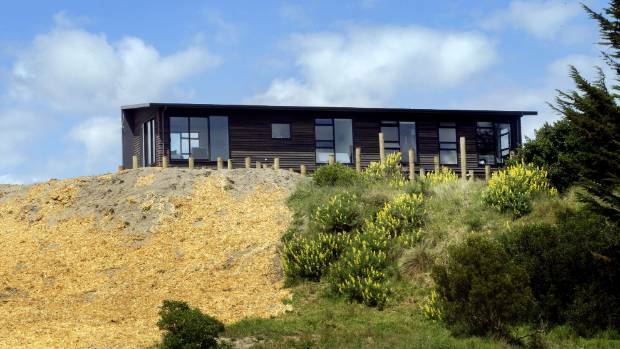 The prefabricated beach house owned by Joanne Welch at Waitarere Beach. The plan and the product ticked all the panelised boxes. Joanne Welch knows this because she followed her home through the process, with regular visits to the Matrix factory. "I could just walk into and visually see and experience everything in the factory and see exactly how I was going to live and what I was going to get. So that took a lot of mystery out of it for me." Eight weeks after signing the contract, Matrix delivered her completed home – a 90m2 house with two bedrooms and a study, one bathroom and all the fittings ready for connection. "The marble kitchen bench was the only thing added after the house was delivered," she says. The bench was one of many upgrades Welch sought on the basic $160,000 package. "Even though it's a small house it's actually quite high-spec. And that cost me another $20-$25,000." Transport normally costs about $12,000, then there's various charges to connect a house to electricity, water and other services, meaning a person can have a new home for less than $200,000. An affordable house, built offsite and delivered in a matter of weeks. Even after a bit of tinkering with the design. Welch moved in mid-September. She loves her new home and believes prefabrication and offsite manufacture could make a difference for the many people struggling to find a house. "Totally. I think it's where people should be going," she says. "It's a quick solution, it's an affordable solution and I even think you could take it further with other companies entering the market where you could go for more smaller, sustainable units to help with the housing crisis. "There's lots of room for people to do more of this sort of thing."